In the absence of Baha’i Island, this second period was characterized by a broad range of individual efforts by Baha’is in various regions, from cultivating personal and group contacts to organizing Baha’i-inspired discussion events. 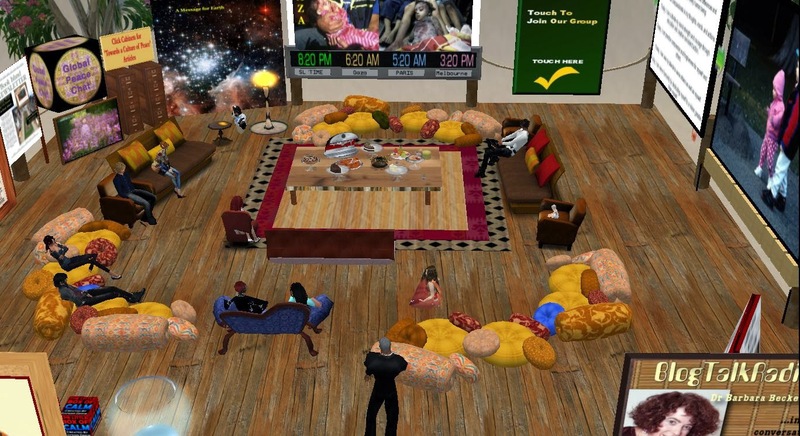 From approximately 2010 to 2013, a Bahá’í science fiction writer, Alexander Zoltai (sandor.zabelin) hosted a well-attended event called “Global Peace Chats” at Second Life’s famous Book Island. The group started by reading his book “Notes from an Alien“, in which the peoples of two different planets struggle to achieve unity in diversity, and discussing its implications for humanity’s global relations. By mid-2012, the group had finished discussing the book and went on to explore some 40 articles from the blog of another Bahá’í, Peter Newton (pcnewtone), on the relations between human nature and a culture of peace (see http://cultureofpeaceprogram.org/). While the Global Peace Chats were still ongoing, the Book Island Manager, Arton Tripsa, provided Peter with a lovely home in the neighboring Peace Garden, where participants would go after the events to socialize and discuss the Bahá’í Teachings more directly. 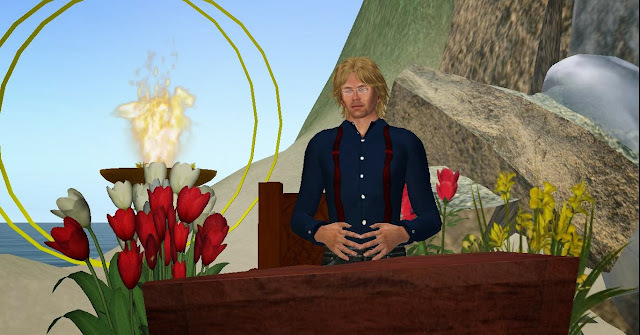 In late 2012, seeking to promote direct study of the Holy Texts of the various World Religions without it sounding ‘religious’, Peter created an event called Mystical Writings of the World on Book Island with the help of Zandor, Arton and others. Here, quotes from the sacred writings of Native American, African, Hindu, Zoroastrian, Jewish, Buddhist, Christian, Islamic, Bahá’í and other faiths were read and discussed, on topics relating to various virtues, spiritual qualities and other aspects of human life. 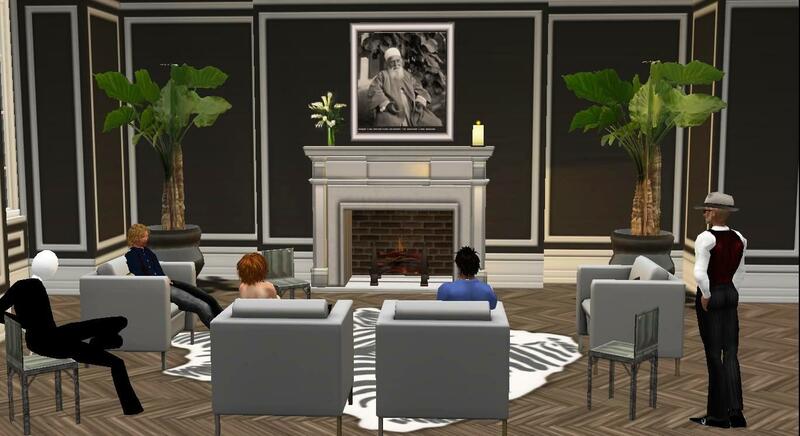 Also in late 2012, Bahá’ís in Second Life decided they needed their own center in order to organize regular ‘fireside’ events and discuss the Bahá’i Teachings more directly. These meetings began at Genamalfi’s sky apartment above Jenkin Park at Caledon Oxbridge Village, set up as a Baha’i Center, and attracted a broad diversity of people. 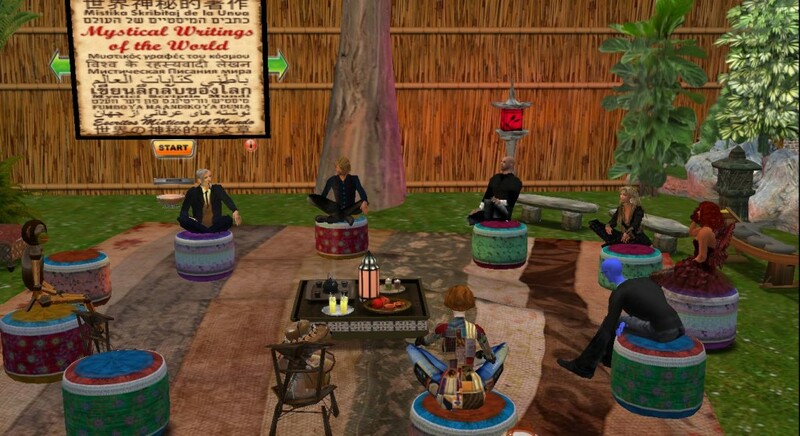 In an effort to reach out to like-minded groups, Bahá’ís researched the interfaith and ecumenical movements in Second Life. 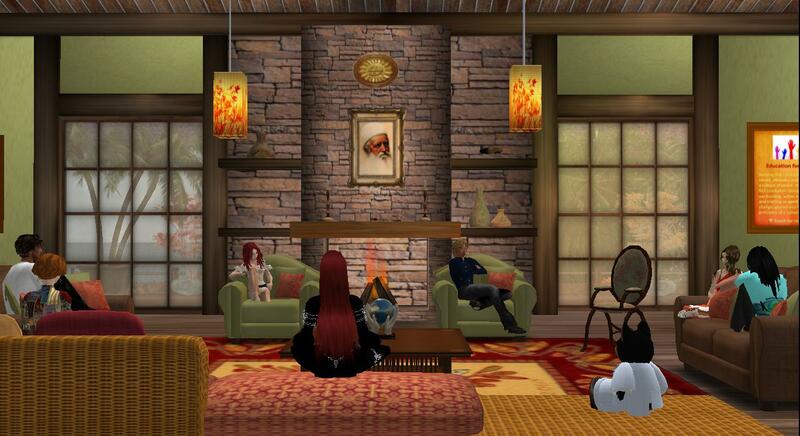 This brought them into contact with the First Unitarian Universalist Congregation of Second Life (FUUSL) at the UUtopia region, where they were welcomed warmly and even invited to speak at some of their weekly services. At UUtopia, Baha’is also started collaborating with the UU Library of World Religions, a venue for promoting interfaith dialog, understanding, harmony, appreciation, and collaboration. This included providing interfaith visuals, enriching the collections of both Bahá’í Writings and others, and leading some of the interfaith discussions at the weekly ‘Life Talks’ event. 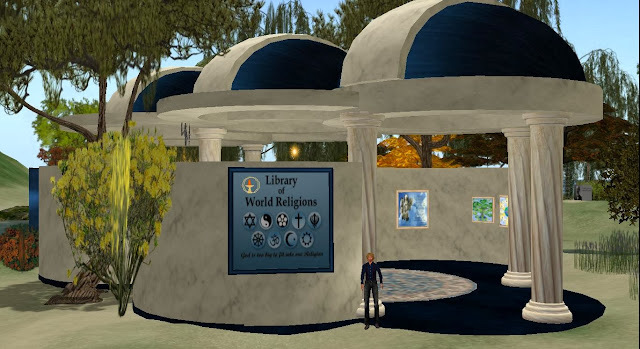 The mission of the Library of World Religions is not merely to collect a sampling of materials representing the world’s diverse religious traditions and interfaith efforts from around the world, but primarily to provide a venue for interfaith dialogue, understanding and collaboration in Second Life. Perhaps the most salient joint project promoted by Baha’is with the UU Library of World Religions has been the annual World Religion Day celebrations, starting in 2013. Since its inception in 1950, World Religion Day has been celebrated throughout the world on the third Sunday of January to foster the establishment of interfaith understanding and harmony by emphasizing the common denominators underlying all religions. It seeks to call attention to the essential harmony of the world’s religions and emphasize that their aims are to create unity among people, to ease suffering, and to bring about peace. For a full report of this ongoing yearly event, click here.